Greeting Masters, I am Metatron, Angelic of Light with Tyberonn of Crystalline Service. We greet you in a vector of unconditional love! Dear Humans, As the frequency of the new earth continues to increase, so does the vibratory rate of the crystals. This is by purpose, by plan, for indeed the major crystal fields of the planet are playing major roles in the dissemination of the crystalline pattern. Indeed, the conscious mineral kingdom of the Earth is awakening to new levels of importance and influence. It is in fact the 'Crystalline' regions of the Earth that are playing the most prominent role in the shifts and upgrades in dimensional frequency. And we assure you, logically, this benevolent influence & resulting crysto-pineal stimulation is of great benefit for humanity. More and more of you are feeling the draw to visit crystalline energy fields, and indeed there is intuitive understanding & purpose of great significance in doing so. We assure you, there is a divinely orchestrated & purposeful call within the crystalline members of the conscious mineral kingdom to increase the generation & flow of vital life force, of coded geo-energy that it receives from the crystalline core of the earth, Saturn and from the central sun. In essence the massive crystal fields of Arkansas & Brazil act as 'motherboards', to use your computer vernacular. They receive codes, convert them and communicate, or project, the new crystalline pattern to the planet and humanity in the ongoing up-shift. To no small degree they are monitored and maintained by the Masters of the Sirian-Pleiadean- Arcturian Alliance, with assistance from certain 'Omni-Earthplane' races of what may be termed as the 'Blue Beings. And so in this channeling we are asked to speak on the 'Blue Beings' & parallel dimensional realms, with emphasis on the region of the Crystalline Vortex of Arkansas. Humanity tends to think of the earth as its own, yet the conscious earth has many levels, many parts termed as the Omni-Earth that combine to make a complex multidimensional whole. The Earth was occupied long before human souls manifested into physicality. Races from other systems of the physical and non-physical omni-verse have been visiting and indeed dwelling on the earth for billions of years. And in fact, the animal, plant & mineral kingdoms were well established eons before humanity began their earthly reign over physical dominions. Physical mankind, in a very relative sense, are the comparative newcomers. 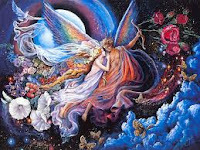 In the Crystalline shift, of 2017 and beyond, these 'parallel' realms will become more tangible to you, and in due time, you will meet your 'next-door' dimensional neighbors. 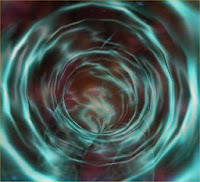 There are numerous succinct energy forces that create a fertile field of dimensional parallels. Crystalline minerals, noble & conductive metals, radioactive minerals, tectonic pressure, dynamic aquifer systems and volcanics each project certain vectors of vibrational frequency which can potentially become unique concentric capacitors of life forms within parallel multi-dimensionality. Such vectors enable anomalies in the space time continuum & provide valid realms of parallel physical, pseudo-physical & non matter domains. It is natural and fitting that the crystalline deposits on the planet are among the first to display remarkable evidence of life forms that were previously less tangible. Because of the unique crystalline geology of what is now termed as 'Arkansas', this hi-frequency land was & remains uniquely attractive to all life. 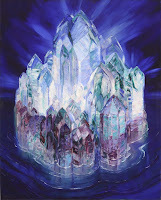 Indeed the crystal-geology indigenous to Arkansas was chosen in past time epochs as a colony of not only the 'Atla-Ra' Atlanteans, but also of the blue-skin races of Lumania & LeMuria , as well as the benevolent 'Star-Nation ET's, of the 'Sirian-Pleiadian-Arcturian Alliance'. The crystalline energy of the massive quartz & mineral deposits in both Arkansas & Brazil have projection field vectors that are visible (and tangible) from far above the earth sphere. The double spin vortex of Arkansas reaches well above the stratosphere, and forms what may be termed as a major highway, a dimensional corridor, or wormhole, which facilitates entry. 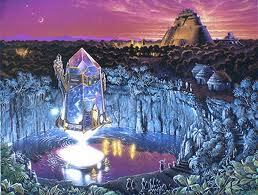 The ET, in your vernacular, the Star-Nation were the first to establish bases in the area of the crystals eons before humanity entered the earth-plane. The massive crystals and crystal caverns of Ark formed approximately 250-300 million years ago, in a time in which waters of oceans and lakes of glacier melt competed for containment, in a give and take of ebb & flow. Extensive waters covered much of the area that is now Arkansas. The Star Beings established bases in the crytsals regions of Arkansas roughly 100 million years ago. The Ouachita & Ozark Mountains in this time were considerably higher and appeared as large islands. Subterranean bases were established within the earth, below the surface waters, in the massive caverns. It was in fact the Pleiadian contingency that advised the Atlanteans of the Crystal sources in Arkansas (and Brazil)....and were indeed responsible for much of the technology developed in Atlantis with crystalline quartz. The Pleiadeans were very instrumental in the early stages of Atlantis, and dwelt on (and in) the omni-earth without permanent manifestation into physical realms. The Atla-Ra, those termed as the scientist priest of Atlantis, were in fact trained by the spiritual Pleiadeans. They were initiates of a great wisdom school involving disciplines of sacred science & spiritual mastery of the 'Law of One'. The Atla-Ra became highly developed mystics with extraordinary powers of mind, yet adhering to high values of spiritual morality and altruistic ideals. The Atla-Ra were the benevolent & intellectual mystical scientist priests, of male, female & androgynous beings, that were the initiated 'Masters of the Crystals'. In the first 2 periods of the three phases of Atlantis, only the Law of One wielded control, and benevolently so, of the crystals. Only in the final phases were non-initiate Aryans allowed into the knowledge, and they sadly betrayed this wisdom. The Atlanteans of the Atla-Ra were primarily of Pleiadian star-seed. The 'Golden Ones' as they were termed, were what may be considered as giants in current times, standing between 10 - 12 feet in height, and in some cases extended to 15 feet. They were generally well proportioned, born into a naturally athletic physiology. The 'Golden' Atlanteans had a skin toning or hue of a burnished yellow-gold, and typically had blond hair, and would appear similar to the 'Nordic' race of Pleiadeans, from which they were seeded... except for the skin tone. Their average life expectancy extended from 900 to 1200 years, although some were capable of rejuvenation and lived beyond 7000 years. Certain of your present seers have predicted that evidence of Atlantis is to be found in Arkansas; (Editor's Note-Kryon & Tyberonn) ... but we tell you it will not be discovered on the surface, as an archeological remnant. We will add that the most viable surviving 'surface' remnants of ancient Atlantis are visible in Peru, Central America, Egypt & Mediterranean areas, all of which were Atlantean colonies. Edgar Cayce also spoke of 3 Halls of Records preserved underground by the Atlantean, Iltar, before the final sinking. Are any part of these in Arkansas or Brazil? Are their tunnels connecting to these Hall of Records? Metatron Response: That which is termed the three 'Atlantean Hall of Records', do still remain, and all are all subsurface. 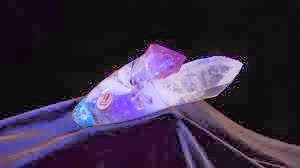 These 'Halls' are not physically in Arkansas nor Brazil, but may be more easily accessed mentally, visually in crystalline arenas, for the piezioelectrical aspects of the Crystal Vortex stimulates and opens the pineal, the 3rtd eye. 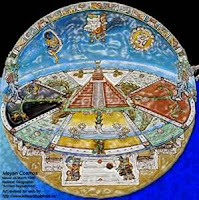 Yet in both Arkansas and Brazil, there are intricate tunnel systems, connecting to hollowed chasms and caverns of the Atlantis & LeMuria eras networked below the ground at varying depths. Certain of these are remarkably preserved and are quite astonishing. In truth the evidence of Atlantis in Arkansas has been known by post-flood Native Americans for centuries, since the time of the early Mound Builders, who were migrants from the Atlantean antediluvian colonies in Yucatan and Poseida. Although the most famous of the remaining mounds is in Ohio (Serpent Mound), the Atlantean Red Race established communities throughout North America, in virtually every state of the lower 48, and in south-eastern & western Canada. These tunnels & shafts are networked throughout much of subterranean portions of Arkansas, most of which are many kilometers beneath the surface. Question to Metatron: There have been numerous reports of people in Arkansas encountering beings in the cave systems of Arkansas, most report them as 'blue skin' humans, can you speak on this please? Response: The Cave systems within the Crystal Vortex of Arkansas contain many anomalous & mysterious aspects, and are indeed home to underground communities of what is termed 'Hollow Earth'. We will validate the veracity of communities beneath the lands of Arkansas. There have been instances in the past in which shamanic mystics of Native Americans have interfaced with them. In more recent times, residents of Arkansas have explored caves in the area, and also encountered the blue skinned race. But it must be clarified, that in the publisized, relatively recent incidents, these beings were very briefly 'imaged', and not truly seen, not physically encountered, in a 4th dimensional environ, somewhat in the same resonance of what may be termed as dream-scape astral dimension. This was enabled in part, due to the piezoelectric minerology within the caverns, the tectonic energies of the New Madrid Fault, combined with magnetic fields within the caverns. These influences facilitate, activate what may be termed multidimensional vision, directly stimulating the piezo crystalline attributes of the pineal gland. The related encounters with tall beings & blue skins beings in the caverns near Cushman, (Glass Cave), as reported, again, in more recent times by the spelunkers, occurred in the same vision-esque matrix. The visuals experienced by the explorers occurred in an altered state, a dreamlike high theta consciousness, induced minerologically & magnetically ... well beyond normal beta wave, above 3d. The explorer's accounts of the experience, were quite confusing to them, nebulous & distorted in memory, and also somewhat exaggerated & embellished over time. But indeed, the Blue-Beings are factually present, and the alternate parallel encounters did occur, and will occur more often in the new energy of the planet. We will add that uniquely in both Arkansas & Brazil, the massive crystals can and do externally project their consciousness in a rather novel 'faerie-esque' format. These appear in a myriad of projected forms, most commonly appearing as blue translucent 'orbs'. These also may occur as darting wisps of blue tinted photonics, piezo-luminescent mini lightning bolts, similar in appearance to what is termed in Faerie-Devic mythology as 'Will of the Wisp'. Now, to further clarify, the 'Blue' beings are different in both frequency and cycle from the extra-terrestrials that populate underground bases in portions of the Ouachita & Ozark Mountains. As we have shared previously, the Sirian-Pleiadian-Arcturian Alliance are highly involved in the upshift of the planet, and the ongoing shift into the crystalline energies of the 144 Grid. There is indeed a base of the SPA Alliance below the region of the Talimena Ridge in Arkansas. 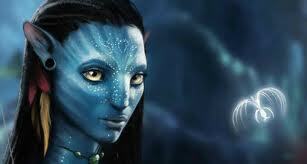 The benevolent Star-Beings do interact with the blue peoples, but are of a different frequency and nature. 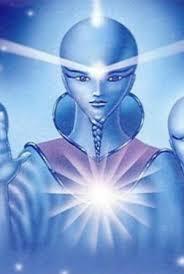 The extra terrestrials are light forms, photonic in nature. There are actually several factions of the subterranean 'blue' races globally. 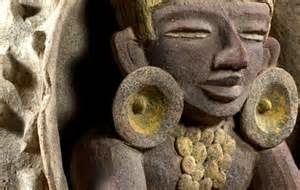 The primary two that habituate dimensional caverns beneath the mountains of Arkansas originated from Lumania & MU (LeMuria). Both are spiritually advanced, but in separate physiologies and in different frequencial dimensional-cycles. The Lumanians are the beings encountered in imagery vision, in the caves near Cushman, termed as Blow Cave and Glass Cave. These are much taller than the blue people of LeMuria. The Lumanians are 7 to 8 feet in stature, are very thin, yet wiry. They are of a very ancient Sirian Star-Seed, and populated various portions of the planet in a very ancient, yet forgotten era, many millions of years before LeMuria & Mu. Interestingly, they appear very similar to the blue-skinned people depicted in the movie 'Avatar', but without the pointed ears or tails. Their skin is quite smooth, and their facial features are narrow, almost feline in appearance, with almond ovalesque eyes. They exist primarily as light beings and truly do not have a physical form, rather they project an image, in the rare circumstances they are encountered by humanity. In their present roles, the remaining Lumanians are in essence serving as care-takers for the planet, working closely with the sentience of the conscious Earth, termed as Gaia. The LeMurians went underground many eons after the Lumanians, and exist in greater numbers. The skin tone of the LeMurians is more of a chameleon toning. The ones beneath the lands of North America, and specifically below Arkansas are more of a teal color, and they are much shorter in height. The ones that exist in other parts of the planet, such as Peru and Brazil, are more of a reddish or rusty bronze tonation. Color is determined more by the mineral content of the water they consume. There remains a much larger populace of the 'Hollow Earth' LeMurians in the inner realms of the planet now, in comparison to the Lumanians. 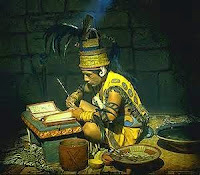 Not all of the LeMurians went underground, many migrated into OG (Peru-Bolivia & Ecuador), and others into the surface regions of continental Atlantis. The antediluvian LeMurians were dwarf like, in appearance, quite hairy, and spawned the mythological 'middle earth' tales of hobbits. As they went deeper into the earth, the pore pressures of the more profound subterranean hollows influenced changes in their physiology, and over time their physical density lessened and their rather bushy hair no longer grew. When the LeMurians originally arrived on the Earthplane, they were pseudo physical, primarily Etheric thought forms or projections. They were able to 'push' their consciousness into both biological & botanical life forms. They did not become purely physical until approximately 200,000 years ago. The LeMurians did indeed have interaction with the Atla-Ra, and assisted in the coding of crystals both in Arkansas and Brazil. At that time they populated both surface terrain and the subterranean. Although they are not of the Devic or Fae Kingdoms, which are also highly present among the crystals, they were often considered as dwarves, albeit the physical variety. Their height varied from 3 feet to 4 ½ feet in stature. They are sensitive & extremely passive in nature, and are as yet quite reluctant to have interface with humanity. 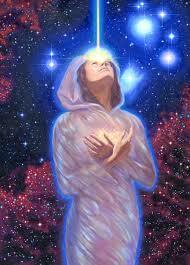 These beings are purely telepathic in their communication, and are very aware of the aggressive aspects of humankind. However it should be noted, that these beings work closely with the Earth, and also with the benevolent beings of Star-Nation. They are highly compassionate, but are aware that time is not yet appropriate for intentional direct contact with humans. This will occur as humanity achieve a higher light quotient, and become more fluent & lucid in multidimensional awareness. In future channels we will share more of these beings. We will additional speak on the unique devic kingdom that is projected from conscious crystals. It is in fact the 'Crystalline' regions of the Earth that are playing the most prominent role in the shifts and upgrades in dimensional frequency. And we assure you, logically, this benevolent influence & pineal stimulation is of great benefit for humanity. More and more of you are feeling the draw to visit crystalline energy fields, and indeed there is intuitive understanding & purpose of great significance in doing so. We assure you, Dear Human, that there is a divinely orchestrated & purposeful call within the crystalline members of the conscious mineral kingdom to increase the generation & flow of vital life force, of coded geo-energy that it receives from the crystalline core of the earth, and from the central sun. 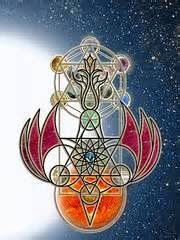 I am Metatron with Tyberonn of Crystalline Service. You are Dearly Beloved. Marvelous transitions are occurring, and you are on path. Keep your light shining!